What's so good about Amsterdam Photo Safari? We're popular because it's our absolute passion. Just like you, we love taking photos in other countries. We want to see the best sites, and we want to be there when the light is perfect. While avoiding flocks of tourists at obvious locations, our tour is designed with one thing in mind - taking home the best images Amsterdam can offer. We tell stories of history and culture, along with personal tales of life in this controversy yet stunning place. We are so small and personal that we really get to know and love you guys. We are a family and friends business. Barry (Tim’s Dad) answers your emails and our friends Chris, Adrian and Ruud lead the pack out by the canals. Welcome to our city, welcome to our lives & welcome to our Amsterdam. We genuinely care about your experience, and I guess the word spreads, because we were contacted by Nat Geo. They asked us to feature in 2 of their magazines. 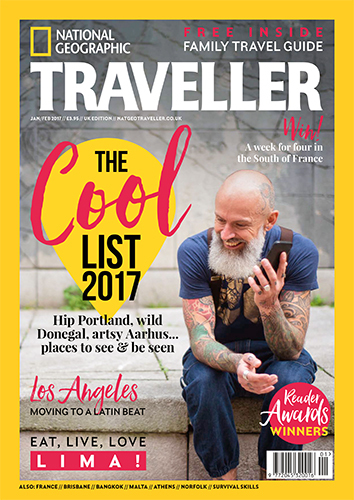 Also Conde Nast and Travel + Leisure ran features recommending us to their readers. Not just a normal tourist activity! Very small groups - 4 people max. Its relaxed, informal, & intimate - no touristy cheesiness. Real people, real stories and experiences. A direct & personal experience from the moment you contact us. Barry will handle your messages - no soulless booking systems here my new friend! It's like spending time with an old friend or long lost cousin. Nobody feels like a tourist here, it's up close and personal and we pride ourselves on this. Our tour is ideal for beginners right through to experienced photographers. Beginners can spend time working on their camera skills and composition, and experienced shooters can dart around the city seeing as many locations as possible, all perfectly timed so the light is optimal at each location. We leave nothing to chance. It's all designed to give you the perfect photographic experience. We love this city and this tour is our baby. You will get our advice on what time to start the tour, and the best views and vantage points. With the right amount of time we will show you every gem this city has to offer. Have a look at our trip advisor - these beautiful comments reflect our enthusiasm for meeting you guys. SEE TRIPADVISOR PAGE.